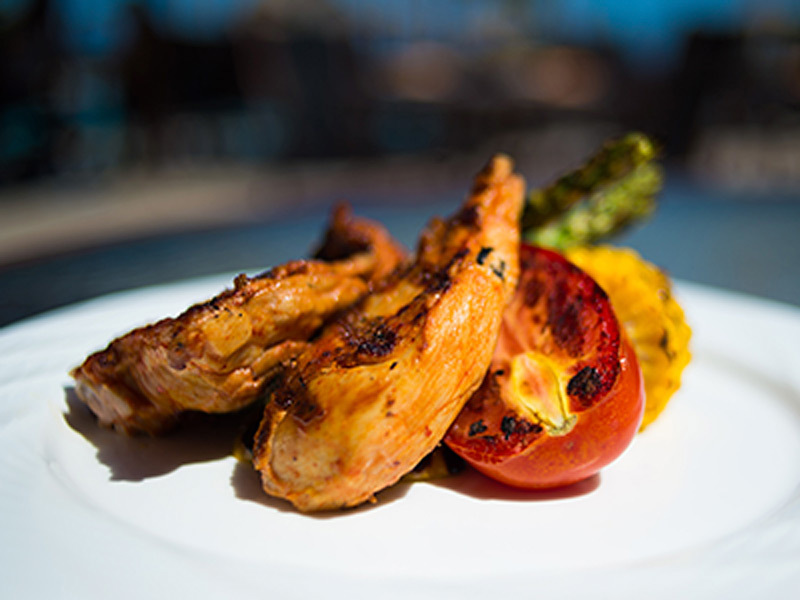 As a Villa del Estancia resident you can enjoy two delectable restaurants on site as well as use the complimentary trolley service to take you to the sister resorts of Villa del Palmar and Villa del Arco, where you can try tempting dishes at an additional 5 restaurants. Our signature cuisine & steak restaurant awaits you every night from 6:00 p.m. to 10:30 p.m. The restaurant's unique layout boasts an impressive open kitchen and an enchanting outdoor dining area all set in a romantic, elegant space which will make your evening a memorable experience. Tantalizing “Parrilladas” prepared with Certified Angus Beef and Prime Cuts, freshly caught seafood and Baja’s Lobster and mussels are among the delightful specialties offered on our impressive menu. In addition, we serve organically-grown vegetables and fruits from Miraflores town farms, all of which are complemented by an extensive wine & tequila selection. 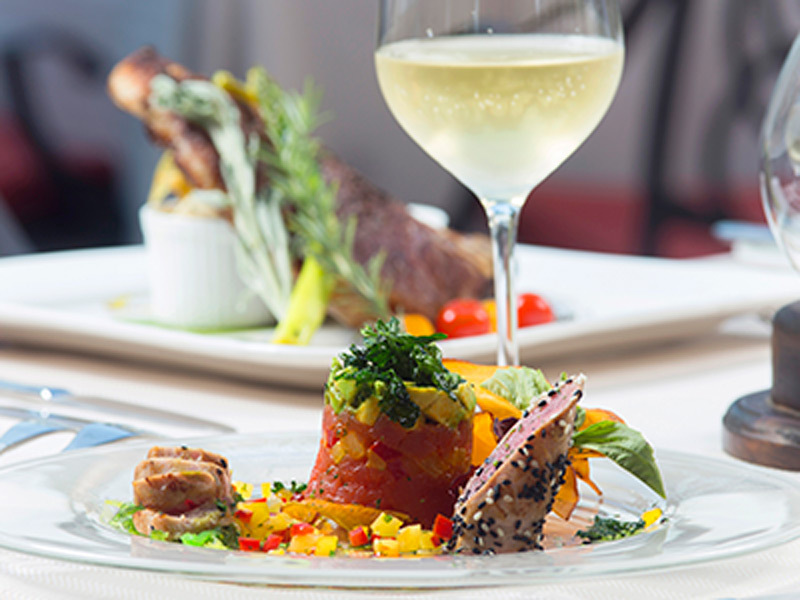 Enjoy a unique experience at the Chef’s Table at La Casona. Our chef, Candelario León, is delighted to create a themed menu cooked right in front of you and your invitees. 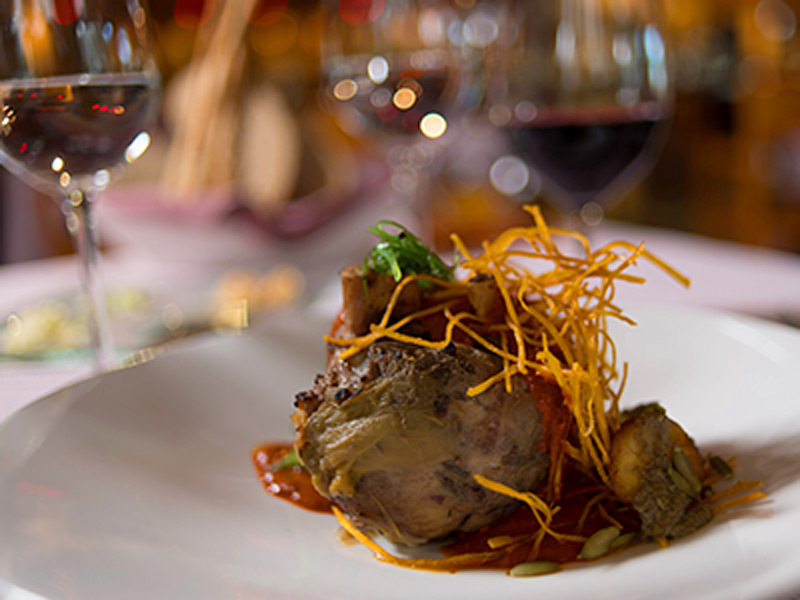 To top off this unparalleled experience, each course is paired with interesting wines from around the word! Open daily for Breakfast 7:00 a.m. to 11:00 a.m.
Dinner from 6:00 p.m. till 10:30 p.m. 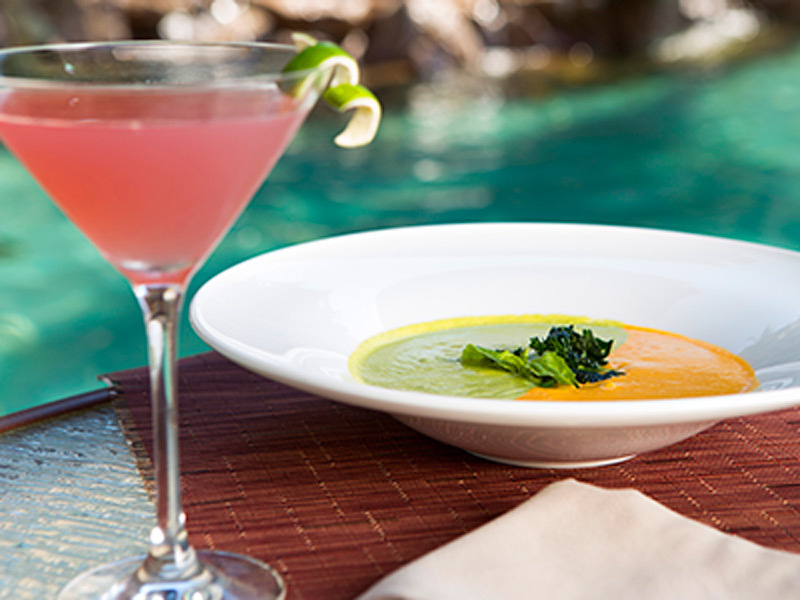 Experience the exquisite tastes of La Parrilla Restaurant while dining poolside for breakfast, lunch or dinner. Our extensive menu and convenient location offer the perfect setting for a breezy meal, savory cocktails or even a simple snack. Grab some shade under our large umbrellas and nibble on assorted fresh seasonal fruits, local garden salads or signature burgers while enjoying the background of Land's End accompanied by the peaceful sounds of gently-rolling waves. La Parrilla is definitely the right place to satisfy all your tropical cravings. 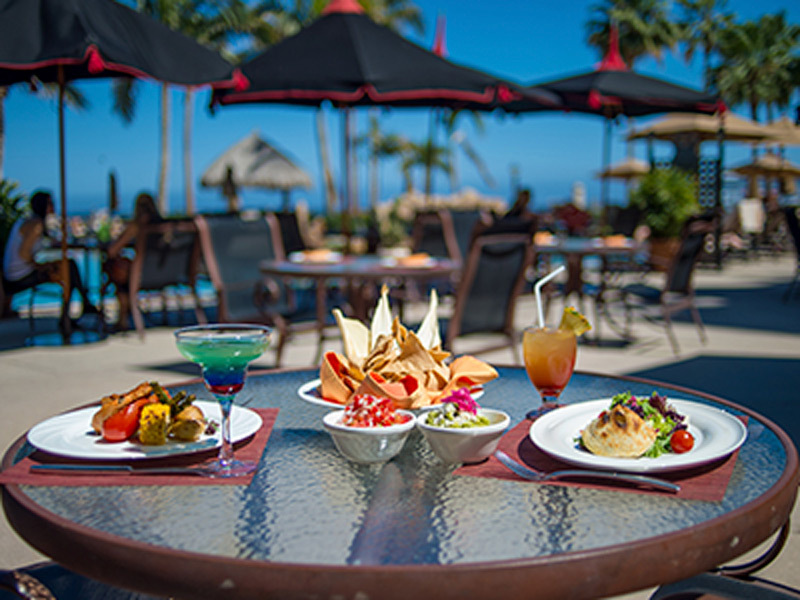 Open daily from 11:00 a.m. to 6:00 p.m.
La Parrilla Pool Bar - 9:00 a.m. to 6:00 p.m.